Enjoy this unobstructed ocean view condo close to North Beach. With approximately 1968sf, this 3 bedroom and 2 bath home has been nicely updated and features hardwood floors in the entry, hallway and up the stairs. The kitchen is open and was updated years ago with tiled counters, glazed cabinetry, pendant lighting and an eating bar. The spacious and bright living area features high ceilings, 2 skylights, a fireplace and slider door that leads to an ocean view deck. Watch the ongoing beach activity with surfers, paddle-boarders, kayakers and dog-walkers. 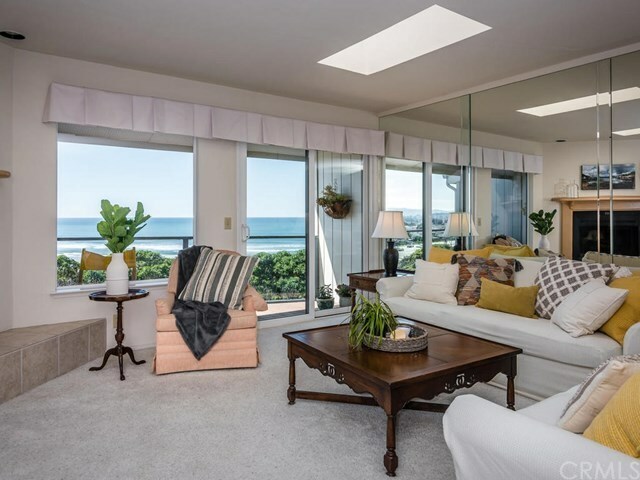 This great ocean view condo should not be missed. Information not verified.